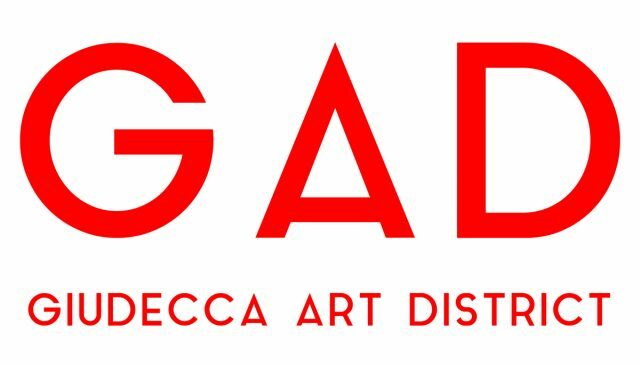 Coinciding with the opening of 58th Venice Biennale, on 9th May 2019 the Venetian island of Giudecca will see the official launch of the Giudecca Art District (GAD), founded by General Director Pier Paolo Scelsi and Artistic Director Valentina Gioia Levy. Building on the Giudecca’s significant contemporary art legacy and the island’s history as a liminal space, the newly established Giudecca Art District will be home to a permanent curatorial programme, linking new and existing spaces on the Giudecca Island, with a remit to promote emerging and established artists, and working with international curators and art institutions. Made up of a network of art professionals, GAD will provide a platform for contemporary art research and discussion through an extensive talks programme featuring some of the most influential figureheads in contemporary art internationally. During the 58th Venice Biennale, the Giudecca Art District will host independent projects, exhibitions and cultural events under the umbrella of the 2019 curatorial programme titled Take Care of Your Garden – Cultivating a New Humanism. Take Care of Your Garden will run from May until December, featuring a series of curatorial projects, performances, talks, video projections, and outdoor installations, in collaboration with galleries, institutions, foundations and cultural centres worldwide. The title of Take Care of Your Garden is inspired by one of the most famous quotes from Voltaire’s Candide, and focuses on what it means to be human in today’s hyper-globalised world. GAD will present works by established artists including Yoko Ono and Kendell Geers alongside young contemporary artists, in order to present high quality projects with national and international partners. Among the works on display, Body as Home by artist Aleksandra Karpowicz with the London based October! 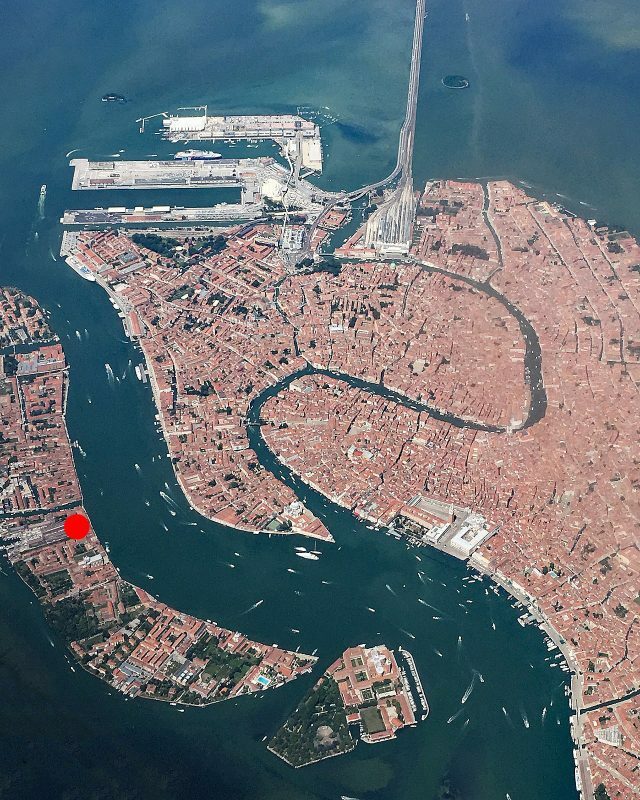 Collective will be the flagship installation of the Giudecca Art District, situated in Project Space 1. Curated by Miguel Mallol, Body as Home is a three-channel film presented in triptych that documents a journey of self-discovery, identity, migration and a search for the meaning of home. Filmed in four different cities; Cape Town, London, New York and Warsaw, Body as Home captures three protagonists in each city – a local, a visitor and the filmmaker herself in order to explore the concept of home in regard to geographical location, one’s placement within society, and personal identity. The film explores how notions of physical selfhood and our sense of home overlap. Body as Home looks to address the relationship between human physicality, sexuality and identity and urge viewers to accept and feel at home in their own bodies. 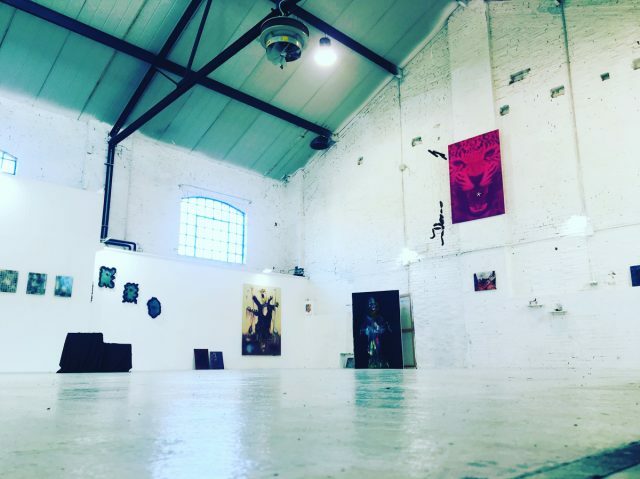 For the official launch of the Giudecca Art District on Thursday 9th May, there will be a series of performances, including Body as Home by the October! Collective with performance of the music by Occult Hardware featuring Fayann Smith, Robert Burhnam, Isabella Stensdotter, Takasama Mukai & Aleksandra Karpowicz, with costumes designed by Muusa Italy. October! Collective takes its name from the October 1789 Women’s March on Versailles, a pivotal moment in the French Revolution when 7,000 working women took to the streets. October! 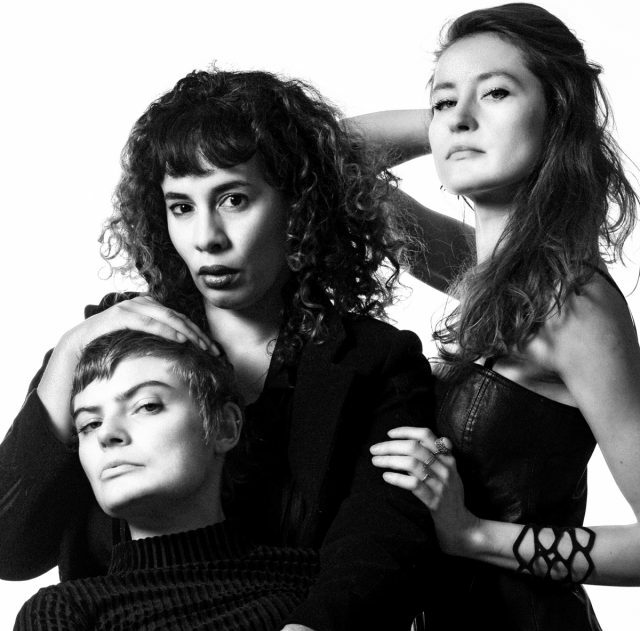 Collective was founded by London based artists Aleksandra Karpowicz (POL), Fayann Smith (UK) and Isabella Steinsdotter (NOR). The launch event will be followed by two days of talks, performances, and video screenings, investigating themes such as body and identity; globalisation and humanitarian issues; the intersection of art, science and technology. Other exhibitions and projects curated by GAD will include Cloud Piece (1963), a work by Yoko Ono, and a site-specific work of Kendell Geers, in the outdoor spaces of the Giudecca Art District, and later in the year We are Humanity, by Lilli Muller (USA) and Randi Matushevitz (USA) opening in Project Space 2 in June; Muller will install a giant knotted “Net”, made of fishing nets and clothing, like a huge tidal wave suspended in air; Matushevitz will present her dystopian paintings pointing to man’s inhumanity to man (homelessness, gun violence, fake news, terrorist attacks). Giudecca’s contemporary art scene has exploded in the past two decades as the island has become a liminal space between modern and contemporary, rich precisely by virtue of its architectural stratification, where religious architecture by Palladio sits alongside new factories and industrial activities such as tanneries, mills, breweries, foundries, and of course naval warehouses. This juxtaposition has changing the conformation of the island quite radically and is itself in dialogue with the Renaissance and Baroque appearance of Venice itself. What was once a ‘Bronx with canals’ is now a ‘Venetian Shoreditch’, boasting the city’s most exciting art galleries, edgy hotels, art-inspired eateries and industrial chic, as well as celebrity residents including Elton John and Miuccia Prada.